It pains me to report that VeriCorder — the single company (besides Apple) that facilitated my #iphonereporting — is on its death bed. VeriCorder, whose multi-track audio editing app has gone by the name of Poddio, VC Audio Pro, VC 1st Video, and now Voddio hasn’t updated the app since November 2013, hasn’t tweeted in 15 months, and has removed its mailing address from its website. Yes, the app I’ve used for multi-track audio and video editing since 2010 still works with iOS 8, but with more and more crashes. Gary Symons, a Canadian former journalist who founded VeriCorder, while technically still president, has moved onto other things, says cousin Kirk Symons, in response to my emailed inquiry about who’s in charge. Kirk Symons tells me the software assets of VeriCorder Technology are in the process of being sold to a company that hopes to renew and grow the services in the near future. Kirk Symons says he’s taken over the sales of hardware accessories — including one of my key accessories, the XLR Adapter, which Kirk says he designed — into his own business, called VeriCorder Outlet. This is a real shame – I too use Voddio for my films. Do you think it’s definitely a write-off now? And have you found a comparable app? Hi. Yeah, I’m afraid it will never be updated again. It still works, but at some point it’ll be useless. I’ve never been a video expert. The folks who are (who I admire) seem to really like iMovie. It’s quite full-featured (more than Voddio). I find myself using Clips often. I really like the user experience. 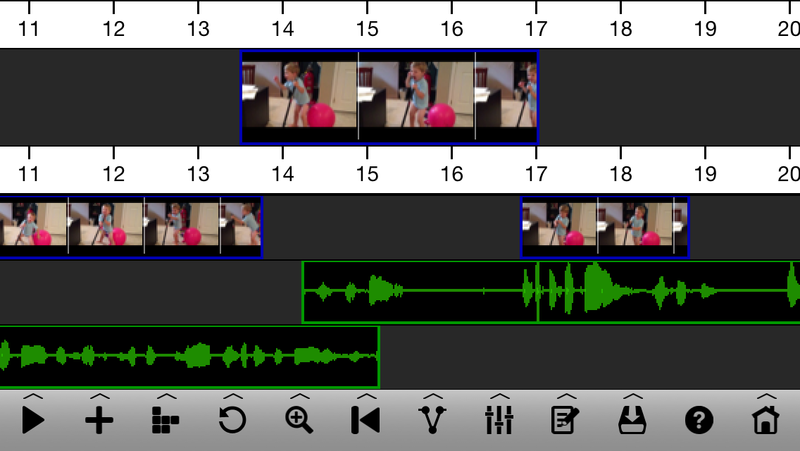 It’s very intuitive — far more intuitive than iMovie, although it doesn’t have all the features as iMovie. For audio multitracking, Ferrite has replaced Voddio on my phone. All the best. Just hoping for a further update, if you have one. Is there another video app that lets you add and mix sound to your videos the way Voddio does? iMovie is fine for cutting clips, but I want finer audio control than it offers. Any ideas? Thanks!